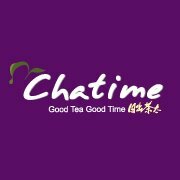 Redemption Location : All Chatime outlets in Malaysia except Gurney Plaza & Queensbay Mall. Chatime Christmas Cut-Outs! Holiday Season Beverages @ RM5.90 RM1.95/cup! Get Chatime Christmas Cut-Outs from Malay Mail every weekday during the promotion period and present the coupon to redeem Chatime drinks at RM1.95 per cup. These coupons will have to be cut out and presented at Chatime outlets nationwide for the discount. The coupon is applicable for the drinks printed on the coupon itself only and take note of the validity date as a new coupon is printed every day. LIKE & SHARE out this good offer ya!